Elaine Hancock (Olney, United States) on 18 March 2017 in Animal & Insect. Taken on Tuesday in the snow. 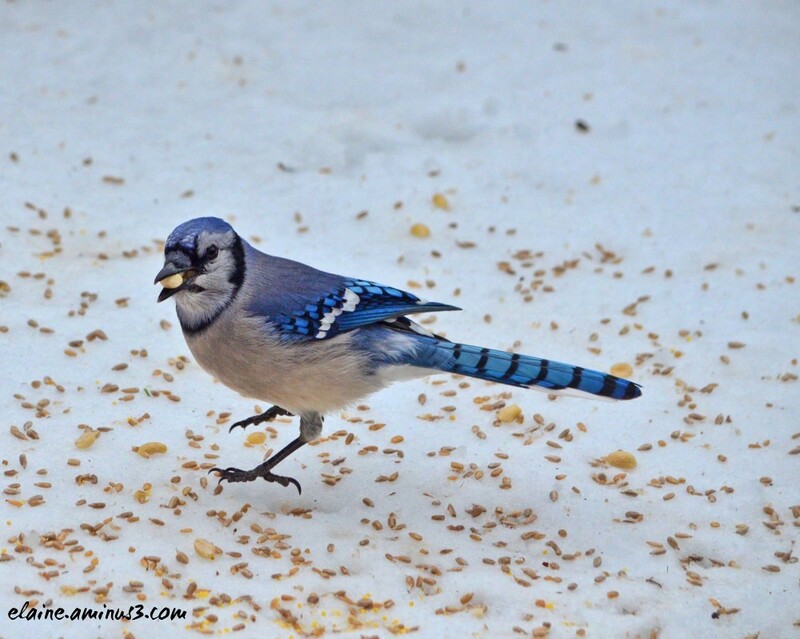 So Gorgeous, love the blue jay ! @grouser: Haha! I admit I threw out a bunch of seed so it was pretty seedy! This Bluejay looks great against that background. He is a very pretty bird. Mix and impressive picture. I love this! The color and details are stunning. How cute that he has found food. A lovely shot of this brash character. Très jolie prise, j'adore ses couleurs. Est-ce toi qui le nourrit pour mieux l'approcher ? . . and grateful for the seed, no doubt !